Joseph Walsh, Lumenoria Desk I, Olive Ash and Cast Resin, 2014, Unique- one of a kind. 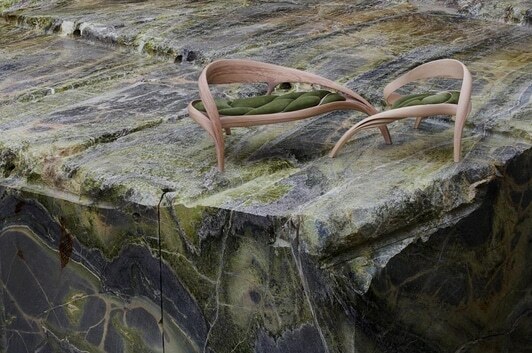 Joseph Walsh, Enignum Free Form Chairs (Pair), Olive Ash and Suede, 2014, Unique – one of a kind. For Immediate Release, August 8 — Todd Merrill Studio is pleased to partner with the world-renowned auction house Tajan to present Paul Evans and Joseph Walsh: Two Masters, an unprecedented exhibition to take place from September 8- 20, 2014 at the Parisian auction house’s headquarters on rue des Mathurins to coincide with the Biennale des Antiquaires. 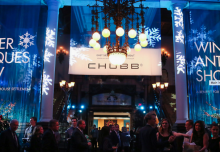 Opening reception will be held on the evening of September 8, 2014. Curated by Todd Merrill and Jean Jacques Wattel, Specialist in 20th Century and Design and Head of Departments, this unprecedented exhibition will explore the work of two artists, masters in their own mediums. 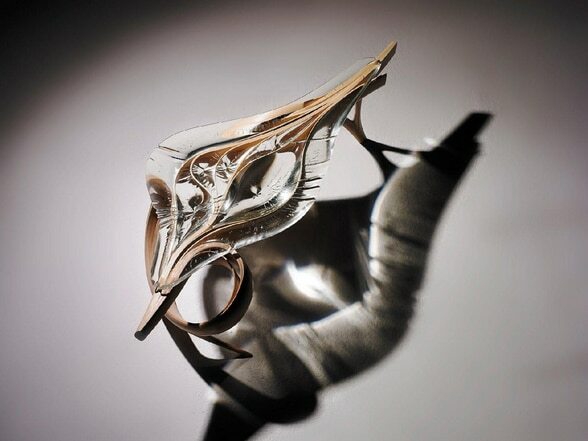 Paul Evans’ work pushed the boundaries of metal in the same way that Joseph Walsh pushes the boundaries of wood. Both artists creative output straddles the line between art and design; furniture and sculpture. Their work is actively sought out by art collectors and acquired by museums worldwide. Paul Evans and Joseph Walsh: Two Masters will include 25 superior pieces created by important mid-twentieth century studio furniture artisan Paul Evans from all facets of his career beginning with the rare studio work completed at Aquatong Road, his first studio, all the way to the hugely popular Cityscape series for Directional Furniture. Paul Evans and Joseph Walsh: Two Masters is opening on the heels of the highly successful “Paul Evans: Crossing Boundaries and Crafting Modernism” retrospective currently on view at the Cranbrook Art Museum, Bloomfield Hills, MI (through October 12, 2014), and will be the first exhibition dedicated to Evans outside of the United States. 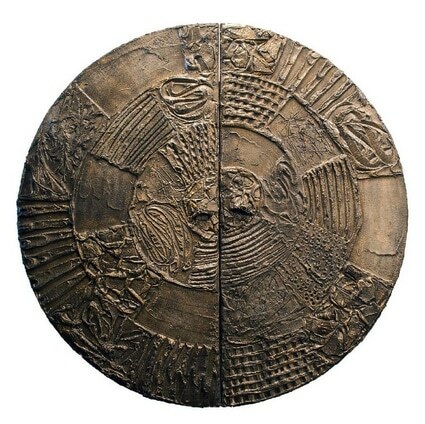 The exhibition will feature a never before seen Free-from Sculpted Bronze Wall-mounted Console that represents the Sculpted Bronze series at its most artistic and unique. A monumental version of this console that is part of the collection of entertainer Lenny Kravitz is featured in “Paul Evans: Crossing Boundaries and Crafting Modernism”. The Kravitz version of this wall-mounted commode was described by Constance Kimmerle, curator at the Michener Museum, as a “custom commissioned hanging commode with sprouting appendages that seems poised to float in space.” This is Evans’ work at his best, combining a material and technique never seen before or since with a free form that appears to be totally sculptural but is in fact a functional console. Also featured will be rare and fresh to the market Paul Evans Forged Steel Sculpted Low Table decorated with a unique peace sign center that evokes the period in America during which it was made. Along with an outstanding Forged Steel sculpture and unique early studio Paul Evans and Phillip Lloyd Powell Bar Cabinet and Shelves with a Free Form Sculpture representing the very best of Evans and Powell collaborative work. Paul Evans and Joseph Walsh: Two Masters is accompanied by a short-form documentary, directed by Lauren Merrill and Todd Merrill and produced by Undeletable Productions, that includes interviews with Evans’ shop workers, family members and contemporary collectors of Evans’ work. Paul Evans and Joseph Walsh: Two Masters will also be the first time that substantial work by Joseph Walsh is exhibited in Paris and will feature five exceptional works including a Lumenoria Desk I, the artist’s most recent body of work that explores his experimentation with wood and acrylic resin. The Lumenoria Desk I is a product of two years worth of experimentation with materials and forms. Created especially for Tajan, the exhibition will present a Bedroom Suite by Joseph Walsh focusing on a new interpretation of Walsh’s famed Enignum Canopy Bed. In creating the ‘Enignum VII’ Canopy Bed, Joseph Walsh has created a space, a cocooned feeling of protection and enclosure within, which creates a sense of enclosure. A version of the Enignum Canopy Bed was commissioned by the Duke of Devonshire for Chatsworth House in Derbyshire, UK. 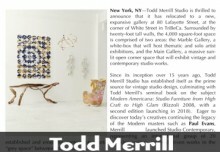 Todd Merrill Studio Contemporary sold the last in the series at Collective. 2 Design Fair this past May in New York City. The Enignum V Canopy Bed also appeared on the front page of the Home section of The New York Times (May 22, 2014). Notably the installation will include a pair of Enignum Free Form Chairs, an Enignum Low -table, Enignum Shelf, and Equinox Walls. 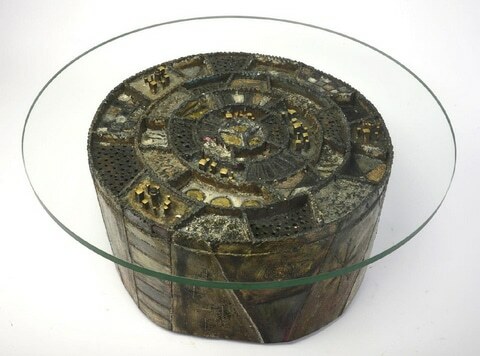 The Enignum series consists of a group of one of a kind pieces. Each composition is created through free form sculpting: stripping wood into thin layers, then manipulating and reconstructing them into free form compositions, a collaboration between man and material. The Equinox Walls add a poetic component to the installation as the series explores the relationship between light, shadow, layering, erosion, patterns, change and the passing of time. Curator Todd Merrill notes that, “this will be the first time that Joseph Walsh will exhibit his vision for a fully realized room for an ideal client, although still in a gallery setting the collection comprises highlights from some of his best pieces from the past two years in a grouping that would make an ideal master suite. 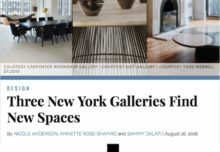 The two artist’s work will be exhibited at the beautiful Espace Tajan side by side showcasing the mastery of materials by both artists. 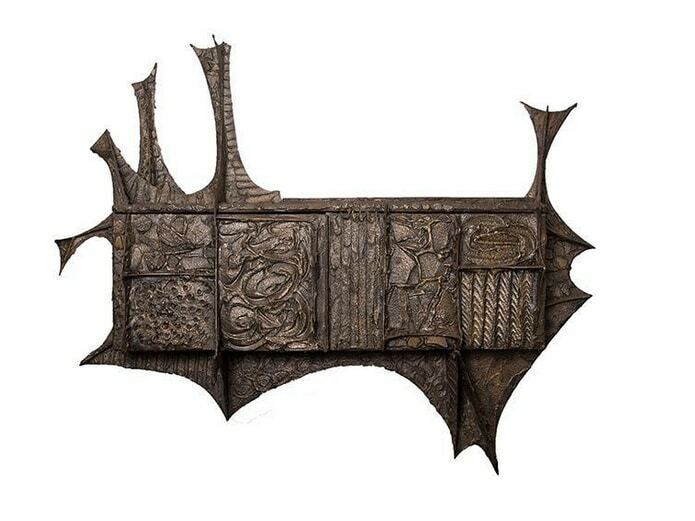 Evans was one of the first artists in the mid-twentieth century to push the boundaries of furniture as three dimensional sculpture subjugating function to art by inventing completely new ways to sculpt with metal and using furniture as a medium for his sculpture. Similarly Walsh has taken wood to an unexpected new level of manipulation never before accomplished, pushing the limits of this ancient material to new heights and producing furniture that is at the same time sculpture. Walsh continues the ground breaking work begun by Evans in the last century surprising and even shocking us with each new creation. 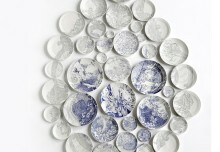 Two game changing artists exhibited side by side commenting on both materials and the continuum of one generation to another. Available for interviews are: Todd Merrill, Gallerist, Studio Contemporary and exhibition curator; Jean Jacques Wattel, Specialist in 20th Century and Design and Head of Departments, Tajan; Joseph Walsh, Artist; and Rodica Seward, Chairman of Tajan.